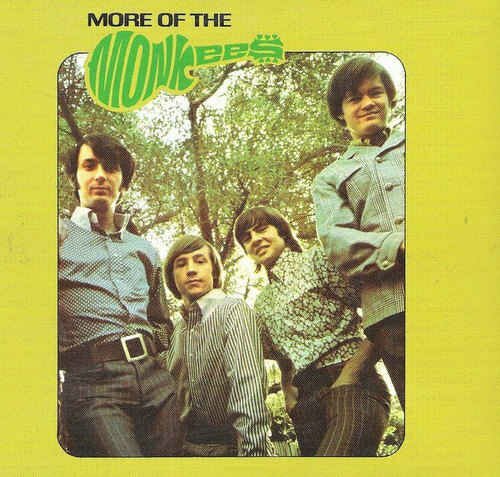 More of the Monkees is the second full-length album by the Monkees. It was recorded in late 1966 and released on Colgems label #102 on January 9, 1967. It displaced the band's debut album from the top of the Billboard 200 chart and remained at No.1 for 18 weeks—the longest of any Monkees album. Combined, the first two Monkees albums were at the top of the Billboard chart for 31 consecutive weeks. More of the Monkees also went to No.1 in the UK. In the U.S. it has been certified quintuple platinum by the RIAA with sales of more than five million copies. More of the Monkees is also notable for being the first pop/rock album to be the best-selling album of the year in the U.S.